When Sean Goodman released Genetics, it became an instant bestseller and is used by pro's and hobbyists all over the world. If you own Genetics, you will certainly want to upgrade to Genetics 2 and (if you don't already own Genetics) stop reading this, buy it and thank me later! So what is Genetics 2? Well it's Out Of This World but on steroids! It can be performed either with serious patter, fun patter or cheeky patter (in fact you can perform it any way you wish!). The best bit is, whichever way you choose to perform it, the ending will blow their minds! So what is the difference between Genetics and Genetics 2? 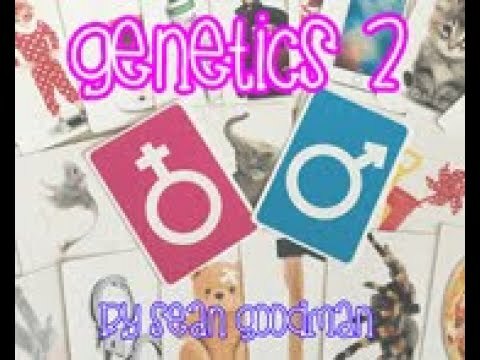 Sean has changed the images in Genetics 2 but kept some of the favorites. The cards are gorgeously printed in full color and now on poker-sized, high-quality playing card stock. Sean has updated the handling, which now allows for the spectators to shuffle the cards before the effect. Genetics 2 uses NO sleight of hand and has a totally instant reset. Two spectators each shuffle the photo deck. You state that you are going to show them the images but not say a word. They are asked just to look at the images as they are placed onto the table. Once this is done you say, "Believe it or not, I have now influenced you. I am going to show you the photos in turn and you need to decide if you would like to keep it or not." This happens with every photo. You pick up the pile of photos that your spectators rejected. Turn them over and show that each card has either a male genetic symbol and a blue back, or a female genetic symbol with a pink back. It's actually a good mix. You now ask spectator number one to turn over the photos he chose to keep and each and every one has the male genetic symbol on its blue colored back (this really gets gasps!). Everyone will be itching for your female spectator to turn over her cards. When she does, each and every one is clearly seen to be pink with the female genetic symbol on the back! Genetics 2 is so clean that everything may be completely examined. You will absolutely love it!